2 dead following Centro Galleria Morley Explosion. 2 dead following Centro Galleria Morley.. The company that employed the two men killed as a result of a Perth shopping centre explosion has pledged to fully co-operate with investigations into the horrific blast. The two dead men – along with two more who were seriously injured – were employees and subcontractors of privately-owned High Energy Service Pty Ltd and were undertaking maintenance work at Morley’s Galleria Shopping Centre. "This is a truly tragic day and our thoughts and prayers are with the family and friends of the deceased persons, and those of the injured employees," the firm said in a statement. "Our staff are currently working with [the Department of Fire and Emergency Services] to ensure the site is safe. 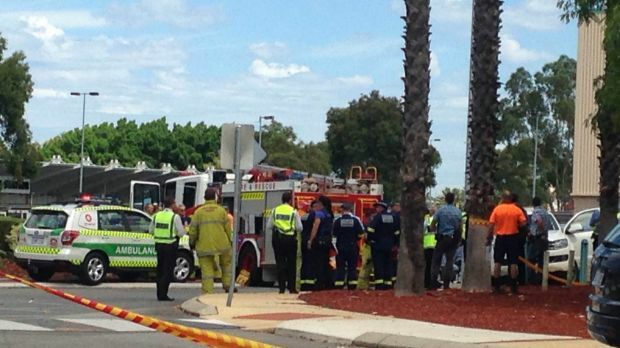 It was revealed on Tuesday afternoon that a second man had died in Royal Perth Hospital as a result of injuries sustained in the explosion. The blast occurred inside the shopping centre some time around 9.30am near the Woolworths loading bay area on Russell Street. Jonathan McDonagh, who was among the first people at the scene, told Radio 6PR he saw three people running from the building and a puff of smoke but did not hear an explosion. "As I came driving into the Galleria I (have) seen one guy coming running out and he was on fire," he said. "And I (have) seen two guys coming out from the same door and they were on fire. And I knew straight away what was happening. "The first fella came running out and he was lying on the ground in the shade and he was the one I was putting out. "There was another lad lying on the ground and two other boys lying on the ground. One of them was dead. "The other fella was getting put out by other people. I was running back and forth trying to put one person out at a time. "When I seen (the) man was out and there was no more flames anymore and he was not breathing… I had to leave after seeing it."